Have you wondered what is involved in a Katy TX AC tune up? Some homeowners may not know the work involved in this service. As a result, they may decide against hiring a local company to complete this work. Failure to keep your AC unit tuned up and in good shape can result in malfunctioning. You may find that it takes longer to cool your home or that it drains a lot of energy. In worst case scenarios, a malfunctioning unit can become a fire hazard. Before you hire A/C tune-up experts, you should know what type of work they do. This can help you find the perfect service in your area. It also helps reinforce the importance of hiring professionals for the job. Most homeowners lack the time, tools, and training required to do the job safely and accurately. Hiring a local A/C tune-up company does not need to be difficult. You can ask your friends and family members for recommendations. Homeowners in Katy can contact Houston Admiral at 281-706-8691. Houston Admiral has many years of experience completing A/C tune-ups for homeowners across the Houston area. You can learn more about the full range of services they perform by visiting https://goadmiral.com. 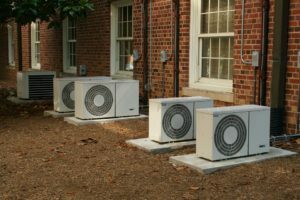 All local A/C tune-ups involve an in-depth and detailed cleaning of the entire unit. Depending on the age and condition of the unit, it may require taking it apart. Each part must be carefully and thoroughly cleaned if the unit is to continue running smoothly. This is not a job homeowners should take on themselves. The parts in question are often very small and delicate. In addition, putting the unit back together can be incredibly dangerous. It is best to leave this job to the experts. If you are in the Katy area, you can contact Houston Admiral to arrange your tune-up today. Homeowners can reach friendly office staff by calling 281-706-8691. The technicians employed by Houston Admiral are highly trained. They can clean and inspect your unit in very little time. You can also learn about the wide range of services available by visiting them at https://goadmiral.com. Most A/C units use some form of coolant or refrigerant to physically cool down the air. When these levels dip down, the unit cannot function properly. In most cases, this means that the air emitted by the unit is not as cold. As a result, your home does not become as cool as fast as it used to. In the middle of a very hot Texan summer, this is not an ideal situation. It can cause discomfort or even heat stroke depending on your health. Pets, children, and the elderly are at high risk for developing heat-related illnesses. Hiring A/C tune-up experts to monitor and evaluate your coolant levels can avoid the health risks to your family. During a tune-up of your A/C unit, experts do examine and make note of fluid levels. If they are too low or if there are other issues, they can alert you now before it becomes too late. If you are in need of an A/C tune-up, contact Houston Admiral today. You can reach their office staff by calling 281-706-8691. Interested consumers can also visit them online at https://goadmiral.com. Houston Admiral has technicians on staff familiar with all types of units. This means they can quickly and accurately gauge how much coolant you have left. They can also refill it and locate more to keep you cool all summer long. Air conditioning services in Katy also inspect your ductwork during tune-ups. This is a frequently overlooked aspect of inspection. However, failure to keep your ducts clean can have many negative results. It slows down the distribution of air, making it harder and more expensive to cool your home. If your ducts are very blocked, it can create a fire hazard. Homeowners should not try to inspect or clean ductwork themselves. It is a very difficult job that involves a lot of skill and expertise. Instead, it is much better to hire a professional in the area. Homeowners looking for ductwork experts can contact Houston Admiral. 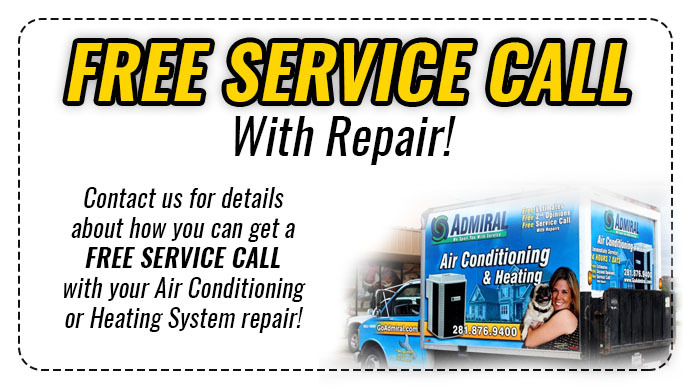 Houston Admiral is the only HVAC company in the area that provides a warranty with all work. You can trust the technicians from Houston Admiral to complete the job safely and quickly. There is no need to worry about repeat repairs, as the company stands behind their work. You can learn more by visiting https://goadmiral.com. New and returning customers can also contact them by calling 281-706-8691. The friendly office staff is ready to take your call and arrange for a free service call. Don’t risk your family’s health, comfort, and safety. Contact Houston Admiral and arrange for a tune-up today. It is crucial to find a reputable tune-up company in Katy. Organizations that have poor reputations do not complete work fast or with any accuracy. In addition, it is hard to hold them accountable for a bad job. Instead, spend a bit of time researching local businesses to find the best one for you. Look for one that offers a warranty, reasonable service hours, and friendly service. 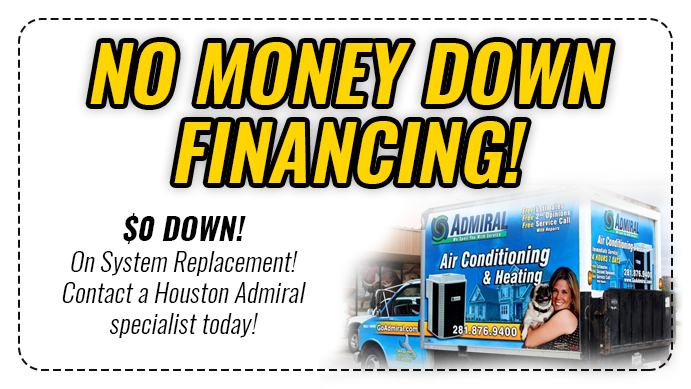 If you live in the Katy area, you can contact Houston Admiral for your tune-up needs. There are friendly and efficient technicians on staff with years of experience in the field. They are ready to do what they can to keep you and your family cool. Contact them today by calling 281-706-8691 or visiting Houston Admiral online at https://goadmiral.com. If you are looking for the best Katy TX AC tune-up company, contact Houston Admiral today.